The Backyard Grill is a locally owned family restaurant. 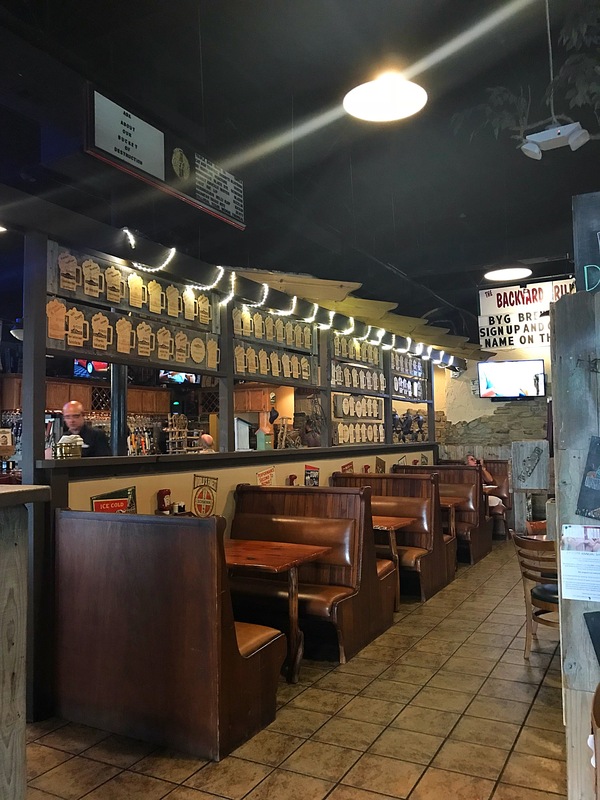 Specializing in Burgers, Fun & Beer. 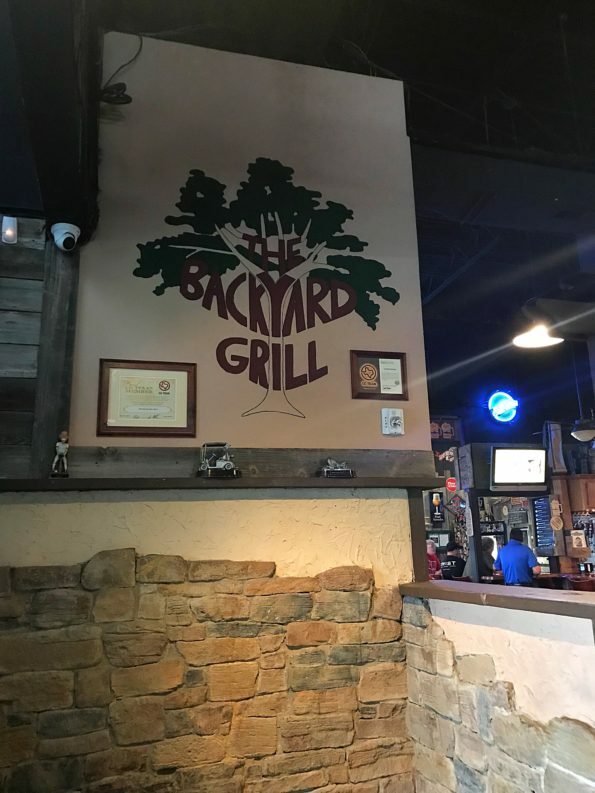 BYG is known for their Craft Burgers, but their menu offers more than just burgers with over 100 items to choose from. 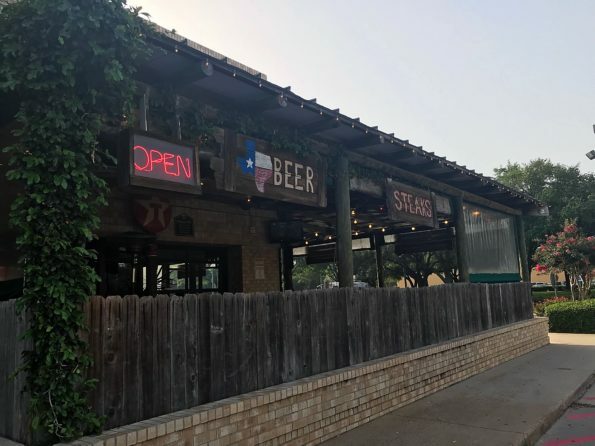 In addition to their food, BYG has a Food Truck, a Texas store and offers Catering. We arrived at the restaurant for a late lunch/early dinner. As we approached the restaurant, I immediately noticed the large patio. Perfect for when the cool weather comes in or for those who don’t mind a little heat. It was too hot for us, so we asked for a booth inside. 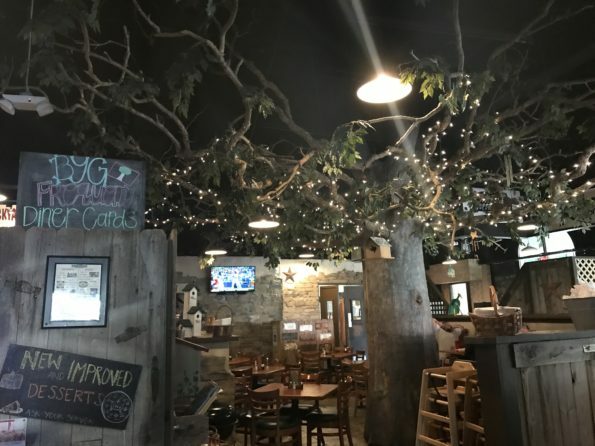 The interior of the restaurant offers a rustic vibe with a few seating options to choose from. The bar area is separate from the restaurant area. We were seated in a booth. The waiter came by and dropped off menus and took our drink orders. I love a good mocktail, but BYG didn’t have any so I went with a regular drink. We skipped appetizers this day and went straight to the entrée. Baby Boy decided on the Mac n Cheese with fruit. This was a simple option but a good one for the kids. Baby girl chose the Mac n Cheese also but she ordered the mashed potatoes. 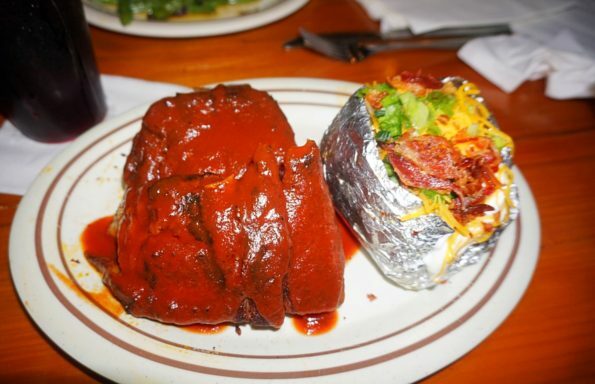 My husband ordered the BBQ Ribs with a loaded baked potato. The ribs were saucy, tender and delicious. Very good. The loaded baked potato was served with butter, cheese, sour cream and bacon. I ordered the Chicken Fried Steak. 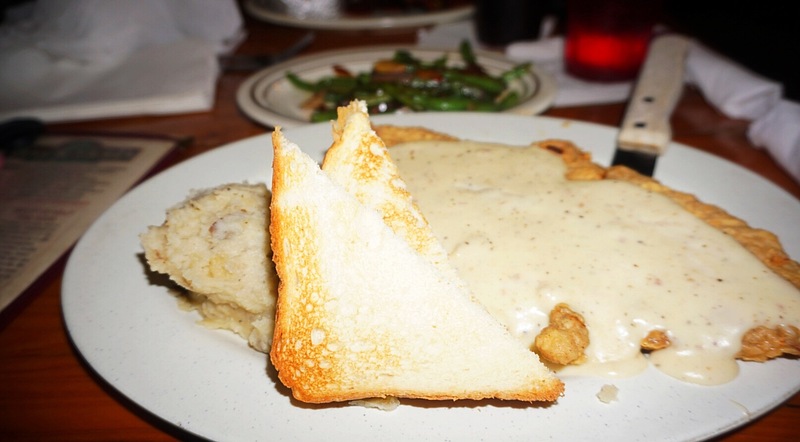 The chicken fried steak was fried perfectly. Served on a bed of garlic mashed potatoes topped with white gravy and Texas toast. 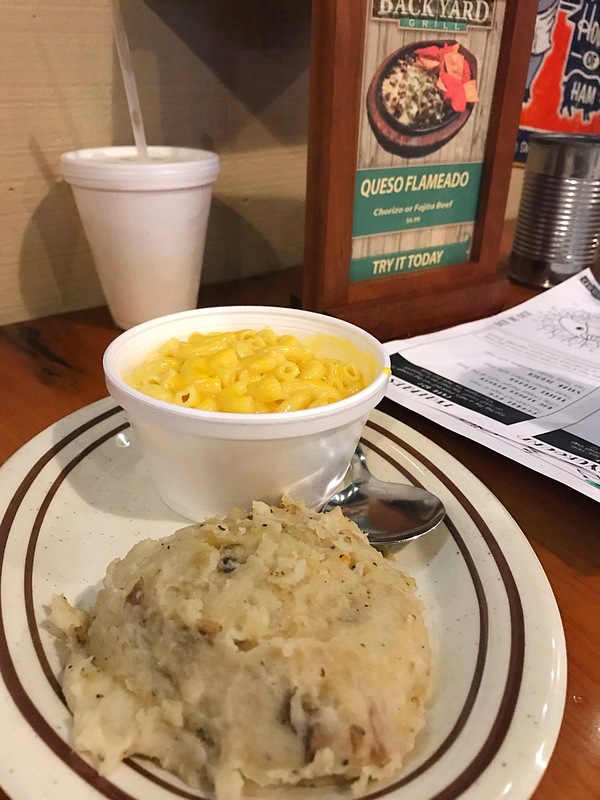 A good plate of Comfort Food after a long day. My only complaint was that my dish lacked seasoning. Adding a touch more of seasoning and this dish would have been perfect. I added a side of green beans. The green beans were perfectly seasoned. Really good. Overall we enjoyed our dining experience at BYG. They have been in business for a long time. Serving up their classic burgers and much more. Everything was served piping hot. The service was good. 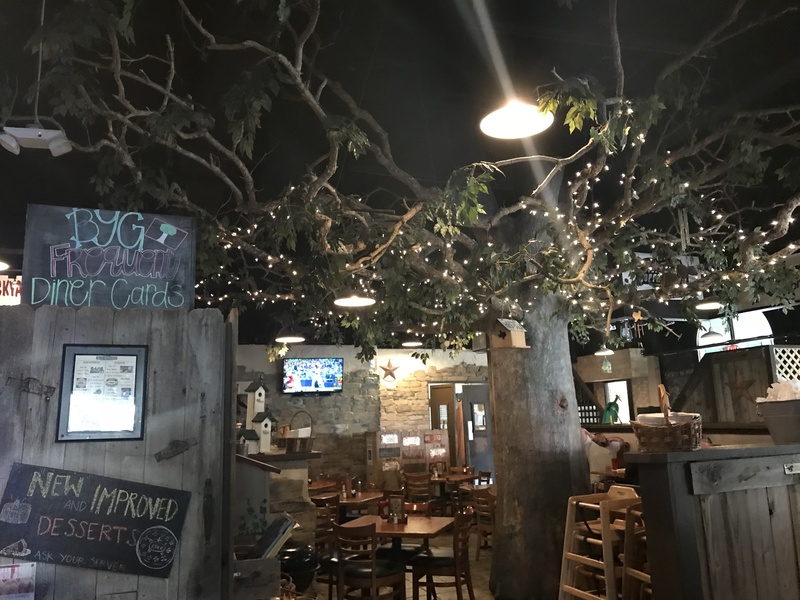 I loved that this restaurant was kid friendly and had a family atmosphere. After a long day of travel, this was a good choice for us to grab a home-cook meal without having to compromise flavor. In addition, BYG also has homemade desserts that are made in house. We weren’t in the mood for dessert but I heard that the cobbler is delicious. 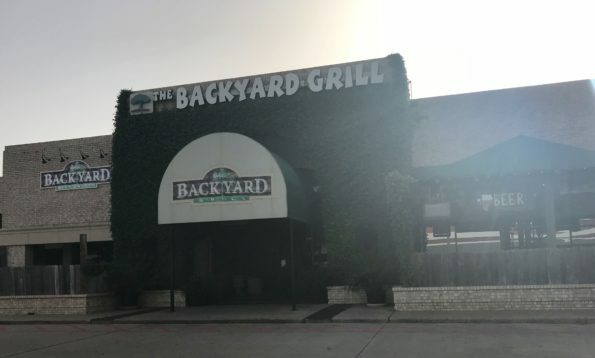 The Backyard Grill is located at 9453 Jones Rd, Houston, TX 77065. The Hours of Operation are Monday – Thursday 11:00 a.m. – 9:00 p.m., Friday – 11:00 a.m. – 9:00 p.m., Saturday 8:00 a.m. – 10:00 p.m. and Sunday 8:00 a.m. – 9:00 p.m.